Contrary to popular thought, our “Core” is not limited to abdominals, just as the core of an apple does not refer to the front of the inner column of the apple. To strengthen and access our Core we must work not only our abdominals, but also the muscles that hold our spine in alignment, the side torso muscles, pelvic floor muscles and the diaphragm. This centre, known as the “kunda”, or oven in Sanskrit, is often referred to as the “fire centre.” We need a healthy fire in this region for the digestion of food, mental activity and emotional experiences. Once ignited and tended properly, this flame brings us the intelligence to know what we need to do in our life, the confidence to take action and the will and determination to continue actions amidst any challenges. This flame can become a luminous light of vitality for us all. 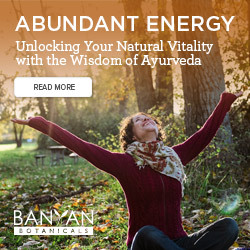 The value of Tantric Fire Ceremony and how to perform your own internal fire ceremony to keep your inner light positive. This training will focus exclusively on the centre of the body, creating strength in the torso. Very few standing poses will be used, if any. Thus, students with ankle, knee and hip injuries will be able to participate. Students will learn how to build energy and fill the spine with this energy, an ingredient for more advanced Tantric practices. Friday will begin with a 90 minute asana practice with Jeanne and a Pranayama and Meditation practice directly using the torso. From here, we’ll dive into the Anatomy of the Core, covering everything from the skeleton and muscles to the Respiratory System, which is directly related to this region. The aspect of Prana and Pranavayus will be introduced, as well as the Third Chakra, Manipura Chakra, known as the City of Jewels. It is in this region that our jewels, our talents dwell. When we avoid connecting our centre, we avoid connecting to our greatest gifts and the key to our Truth, how we feel and think about things. When we know our Truth and access our talents, our life becomes much easier as we begin to live out our Dharma, what we are meant to do in this lifetime. The Bandhas will be introduced with information on each one and how to access them. These are powerful applications which retain positive energy within the body to change the vibratory state. A simpler yoga practice will follow that helps students feel the Bandhas, for they are subtle and often hard to experience on the outer physical layers. We will close with a Third Chakra Meditation to feel the power that dwells in our centre. Saturday will begin with a 90-minute yoga class that focuses on Twists and how the Core is directly involved in twisting the organs, offering purification and cleansing as well as releasing tight muscles in the back. 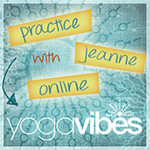 Jeanne will close this session with a Pranayama and Meditation practice repeating some of the Bandha work from the day prior. We will then apply the Tantric practice of Vichara, a form of Jnana Yoga, which removes the layers of ignorance within us to bring light upon our darkness. When we shine some light onto our inner darkest parts, those regions can no longer scare us or hold us back. This practice leads to courage and fearlessness, a skill required of yogis. With the insight into our dark regions, we will learn how to feed ourselves through Prana and the art of Pranayama. Jeanne will introduce the qualities of the Anahata Chakra, the fourth chakra, which is connected to the diaphragm. When the diaphragm is strong, (a key ingredient in core work) the Heart Chakra is able to sustain its own strength. We will review the muscles along the back body and close with a Core practice focused on the diaphragm and Anahata Chakra, closing with a meditation. On Sunday, we’ll begin with a 90-minute practice that leads into Arm Balances, applying the anatomical, mental and Tantric tools we’ve gained. While one needs an adequate amount of arm strength and hip opening for Arm Balances, the main ingredient is an ignited fire in the centre, which is the epicentre of the postures. After lunch we will review the types of practices from the weekend and work as a group creating different sequences and practices, based on the needs for our students. We will close the weekend learning about the Tantric Fire Ceremonies and how to create an inner fire ceremony, considered in Tantra to be the most powerful form of fire ceremony. Students will then be guided into a simple asana practice and a Tantric Fire Meditation. Once this fire has been lit and nurtured, students will feel a significant increase in courage, positivity and capacity to accomplish what is needed. This training serves as 20 hours of Continuing Education through Yoga Alliance US and is aimed at yoga teachers and teachers in training. You will receive a Yogacampus certificate of attendance following the training.